As a working professional, you spend lot of hours every day sitting on your office chair, right? In spite of using a high-quality ergonomic chair, it doesn’t offer you comfort. Continuous sitting on it causes humidity that builds up near your skin surface and makes you feel uncomfortable. 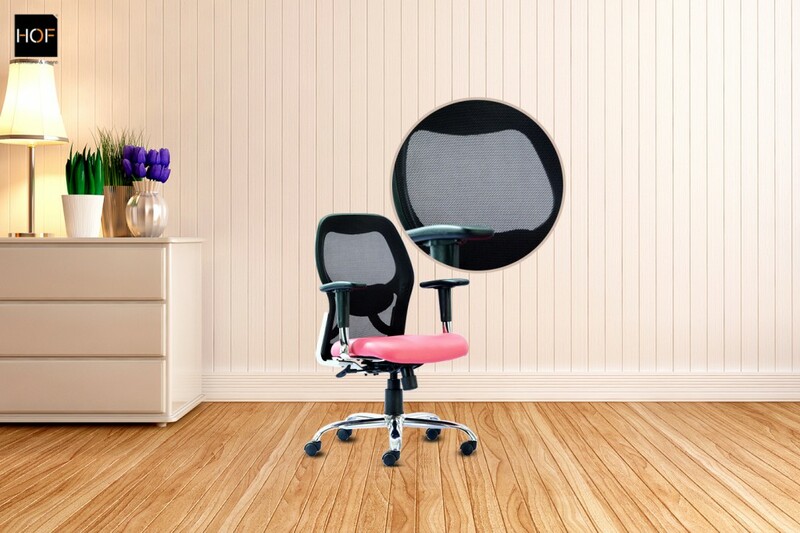 If this is the case with you, then you need a chair which has a breathable fabric. It’s very important that your chair is made of such a fabric that breathes air. We, at HOF, have developed a special upholstery material which is breathable and porous. This material is capable of regulating the moisture and heat flow away from the surface of seat. It makes sitting more comfortable as it allows dispersion of the moisture away from your skin. Research says that the level of thermal comfort depends upon an individual’s body temperature. Ideal ambient temperature varies from person to person and humidity plays an important role in thermal comfort. That is why a seated person experiences discomfort when humidity builds up near his/her skin surface. The moisture on the skin increases the friction coefficients, causing it to stick to clothes of the person or the upholstery. This can be prevented by using a thermally neutral chair. Its porous and breathable fabric keeps heat and moisture away from your skin surface. A thermally comfortable chair will have a neutral effect on your body temperature by allowing the flow of air to the body or dispersion of water vapor from it. Generally, the traditional chair manufacturers go for the usual fabric over the foam padding design. But foam padding also impedes water vapor transfer from the sitter’s surface. To prevent this, we have developed an innovative breathable surface for our seat covers which are porous. Thermally neutral chairs will offer you more comfort while sitting. If you are comfortable, you can work with great concentration and as a result, your work efficiency will increase!